Comment: The artist, of course, became one of the most-recognized science fiction and fantasy illustrators of the latter part of the 20th century. Like a lot of illustrators, he did not spring onto the scene fully formed as the talent that he came to be. 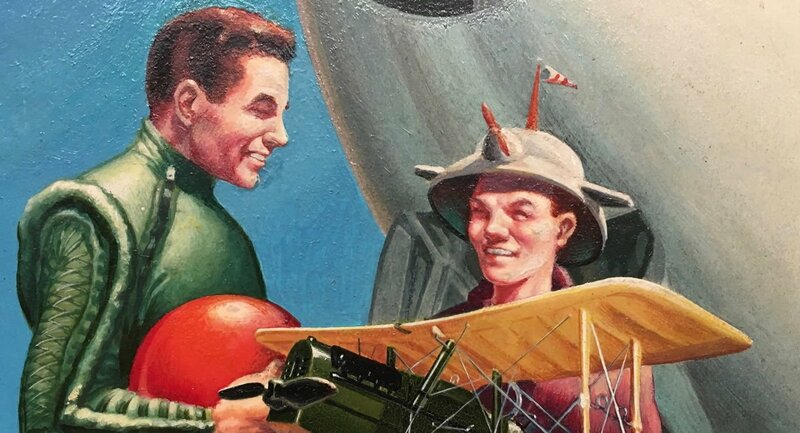 Here we see some early indicators-- look at those flight-suits, and the boy's hat for starting-points. 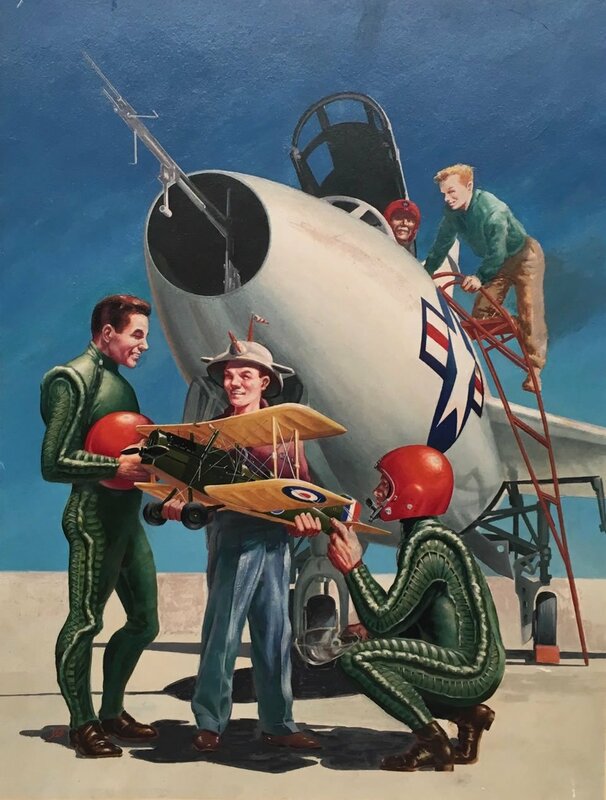 This image is due to be included in a forthcoming book on Freas. Have the magazine to accompany the artwork. Condition	 A couple small scattered mars, overall very good condition, not framed. 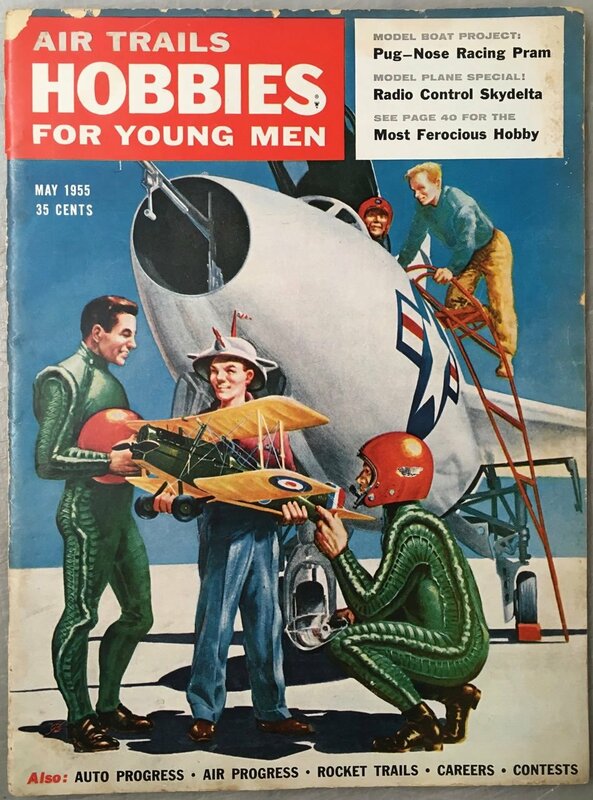 Publication Information	 Cover for Air Trails Hobbies for Young Men, published in May 1955.